IRCTC, the online protol of the Indian Railways which handles the online ticketing, tourism and catering operations, has now rolled out a new e-wallet of it’s own. This e-wallet of IRCTC lets the users book their tickets (including tatkal tickets) and pay for other IRCTC services directly through this e-wallet. This new system will facilitate faster ticket booking and will be a great boon to regular commuters. The IRCTC e-wallet works just like any other e-wallets out there. We can deposit the money from the bank account to the IRCTC wallet, then this money can directly be used to perform transactions on the IRCTC app. This new payment option from IRCTC can be a great deal of joy for a lot of it’s users. 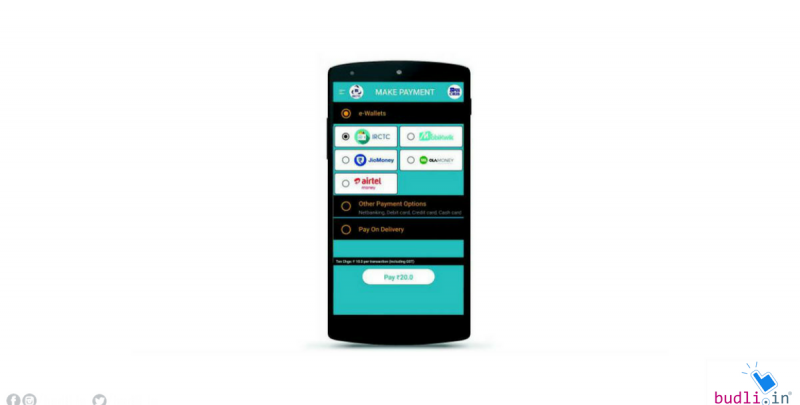 Using this wallet system eliminates the payment approval cycle and books your tickets very quickly when compared to the regular net banking or card based transaction. This latest update was shared by IRCTC via Twitter and they also wrote about it on their website. In case of train cancel the amount will be refunded to the account through which the payment is made, if the e-wallet is used then the amount will be refunded to the wallet itself. IRCTC also tweeted about the same and they said the following. This is the not the first feature that IRCTC has bought in recent times. The app also provided a cab booking facility to its users through the Rail Connect app. Also, they have announced that they will be introducing a new Food-On-Track app to improve the onboard food delivery system. How do we know this? They tweeted about this new app too. Here is what they said. For you to enjoy all these amazing features coming from IRCTC and all the other great apps out there you need to have a smartphone that is faster and has a great storage options. Now that does not mean that I am asking you to burn your money on costly and powerful smartphones. There is always an other way. And in this case the other option that you have is – refurbished smartphones. Refurbished smartphones are the best as they provide the same quality smartphone as that of the original one and with a price tag which is relatively low than the original one. Sounds cool right? Budli is the leading marketplace for refurbished products in India. We have a huge range of products ranging from smartphones, laptops to tablets. Check out budli.in now and grab your next best smartphone now!